CALL US TODAY FOR A LIVE vehicle demonstration via FaceTime or Android. CARFAX One-Owner. 2016 Acura TLX Crystal Black Pearl, **Acura CERTIFIED**, **LEATHER**, **MOONROOF**, **HEATED SEATS**, **BLUETOOTH**, **BACK UP CAMERA**. Certified. 24/35 City/Highway MPG At Acura by Executive we provide our Best Price First for a fair fast and friendly buying experience. Reviews: * Cabin does a good job of filtering out unwanted noise; rear seat offers more legroom than many competitors; loads of features for the money. Source: Edmunds 2.4L Awards: * ALG Residual Value Awards * 2016 KBB.com 10 Best Luxury Cars Under $35,000 * 2016 KBB.com 5-Year Cost to Own Awards 2016 Kelley Blue Book Brand Image Awards are based on the Brand Watch(tm) study from Kelley Blue Book Market Intelligence. Award calculated among non-luxury shoppers. For more information, visit www.kbb.com. Kelley Blue Book is a registered trademark of Kelley Blue Book Co., Inc. CALL US TODAY FOR A LIVE vehicle demonstration via FaceTime or Android. CARFAX One-Owner. 2016 Acura TLX Graphite Luster Metallic, **Acura CERTIFIED**, **LEATHER**, **MOONROOF**, **HEATED SEATS**, **BLUETOOTH**, **BACK UP CAMERA**, **One Owner**. Certified. Odometer is 2076 miles below market average! 24/35 City/Highway MPG At Acura by Executive we provide our Best Price First for a fair fast and friendly buying experience. Reviews: * Cabin does a good job of filtering out unwanted noise; rear seat offers more legroom than many competitors; loads of features for the money. Source: Edmunds 2.4L Awards: * ALG Residual Value Awards * 2016 KBB.com 10 Best Luxury Cars Under $35,000 * 2016 KBB.com 5-Year Cost to Own Awards 2016 Kelley Blue Book Brand Image Awards are based on the Brand Watch(tm) study from Kelley Blue Book Market Intelligence. Award calculated among non-luxury shoppers. For more information, visit www.kbb.com. Kelley Blue Book is a registered trademark of Kelley Blue Book Co., Inc. CALL US TODAY FOR A LIVE vehicle demonstration via FaceTime or Android. CARFAX One-Owner. AWD, ABS brakes, Electronic Stability Control, Front dual zone A/C, Heated door mirrors, Heated front seats, Heated Sport Bucket Seats, Illuminated entry, Low tire pressure warning, Power Liftgate, Power moonroof, Remote keyless entry, Traction control. Certified. 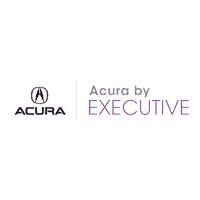 19/27 City/Highway MPG At Acura by Executive we provide our Best Price First for a fair fast and friendly buying experience. Reviews: * The 2015 RDX is the ideal choice if you want a luxury SUV but not the sticker shock and questionable reliability that can be associated with one. Above-average resale value and Acura's reputation for quality add further peace of mind. Source: KBB.com * Strong yet fuel-efficient V6; generous rear legroom; lengthy standard features list; competitive price. Source: Edmunds * The 2015 Acura RDX is a powerful compact crossover that offers a stylish exterior with a luxury interior. The RDX is equipped with a 3.5-liter, i-VTEC V-6 Engine, that produces 273 Horsepower. Despite its power it remains fuel efficient with the front-wheel drive model getting an EPA rating of 20 MPG City, 28 MPG Highway, and a combined 23 MPG. The all-wheel drive version is impressive as well with 19 MPG City, 27 MPG Highway, and 22 MPG combined. The Engine in the RDX comes with Variable Cylinder Management that automatically makes changes to the number of cylinders used at any given time. It enables it so the engine can run on six, four, or three cylinders depending on power demand, allowing for the most fuel efficiency possible. The RDX comes standard with a Sequential SportShift Automatic Transmission with steering-mounted paddle shifters. You have the option to choose either Drive mode for smooth shifting and optimal fuel efficiency, or you can go into Sport mode for performance driving and quick, precise shifts at your fingertips. If you choose to upgrade into the All-Wheel Drive model, it comes with Intelligent Control. This uses the front wheels only to propel the vehicle during regular cruising, and supplies more power to the rear depending on how slippery the surface you are driving on is. The interior of the RDX offers comfortable seating for up to five passengers with its plush leather seats in front and back. The driver and front passenger get dual-level heaters in seats and dual-zone climate controls. The driver's seat also comes equipped with a lumbar adjustment feature to keep your back comfortable. For safety, the RDX comes with a rearview camera, which activates whenever the vehicle is put into reverse. Also included is the Bluetooth HandsFreeLink, as well as the text message function that can read your texts to you and supply you with your choice of six pre-loaded responses. The Technology Package includes a Navigation System and a Destination Database to direct you to nearby ATMs, restaurants, and more. It also comes with AcuraLink, an easy to use data network that reminds you about maintenance appointments and communicates directly with your dealer. If you are looking for comfort without compromise, step into the 2015 Acura RDX. Source: The Manufacturer Summary Technology Package Awards: * 2015 KBB.com 10 Best Luxury Cars Under $35,000 For more information, visit www.kbb.com. Kelley Blue Book is a registered trademark of Kelley Blue Book Co., Inc.